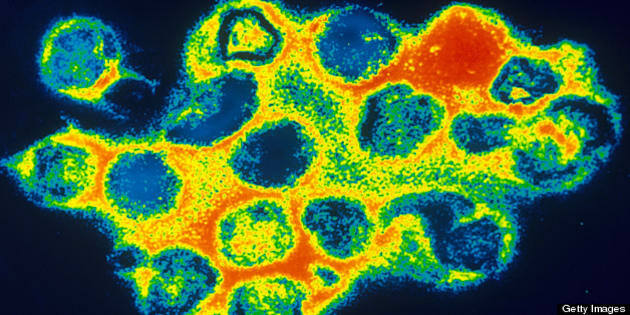 Negative stain transmission electron micrograph of Rubella virus, commonly known as German measles. VANCOUVER - Health officials have determined a measles outbreak in the Vancouver area has infected four people who were not immunized, incompletely immunized or didn't know their immunization status. The Fraser Health Authority is once again urging people to ensure they are vaccinated against the contagious respiratory infection that's spread easily through the air and in serious cases, can lead to inflammation of the brain, blindness, deafness and rarely, death. The health authority says in a news release it has confirmed cases in Burnaby, Surrey, Abbotsford and Chilliwack, but additional cases are also showing symptoms consistent with the infection. The authority says often, travellers bring back measles from aboard, but in most of the current cases, the patients have no known exposure to measles. While people born before 1957 are likely to be immune because outbreaks were once common, officials say individuals born after 1956 should receive two doses of the vaccine before the age of one.